Malaysia: Borneo, Sabah, Mt. 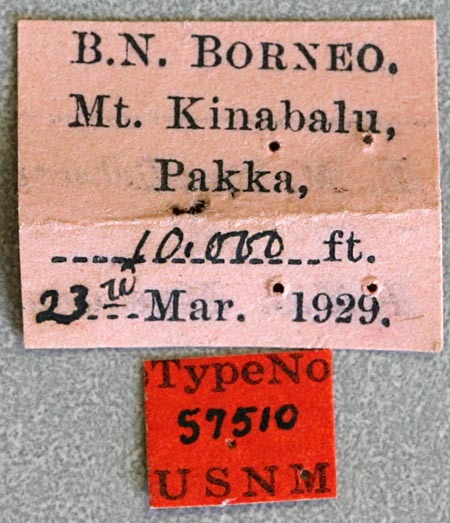 Kinabalu, Pakka, 10,000 ft.
Fisher, W.S. 1935. 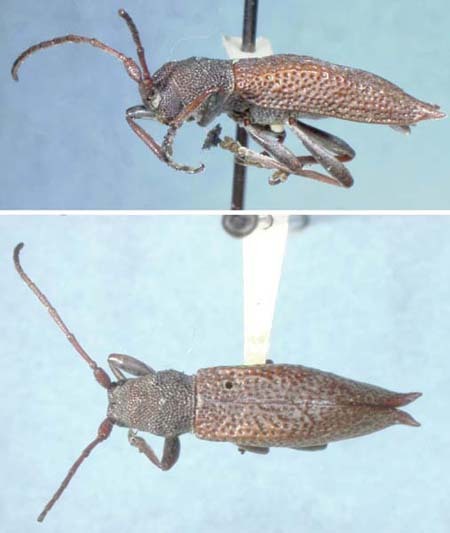 Cerambycidae from Mount Kinabalu. 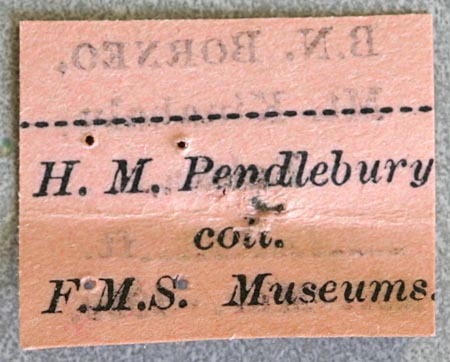 Journal of the Federated Malay States Museum, 17(30): 581-631.